GRAFENWOEHR, Germany — Community members with installation passes should always carry a second form of photo identification when accessing any of the installations at U.S. Army Garrison Bavaria, as well as all U.S. military installations in Europe, according to officials here. When entering post as a DOD cardholder living in Germany, you present the gate guard your installation pass. The guard then passes it through a handheld scanner, which verifies your credentials through what’s known as Installation Access Control System, or IACS. DOD ID cardholders stationed in Europe, or on orders, must be registered in IACS. IACS is a personnel access verification system and is networked to all Installation Access Control offices in U.S. Army Europe and U.S. Air Force Europe. But if IACS temporarily goes down, gate guards may request a second form of photo ID and a vehicle registration, according to the Army in Europe regulation on installation access control. There is an exception to that policy for those under the age of 18. Juveniles who are enrolled in IACS are allowed entry with one form of photo ID. Regardless, emergency services officials still have to ask for two forms of photo ID when IACS is down per the regulation. USAG Bavaria includes Army installations at Grafenwoehr, Vilseck, Hohenfels and Garmisch. But you should always carry a second form of photo ID to any U.S. military installation within Europe. Have a valid DOD ID card and be registered in the IACS. Have a valid regular or temporary U.S. Forces in Europe installation pass. Be signed in by an individual with sign-in privileges and present required documents outlined in the IACS regulation, paragraph 29e. Be on an approved access roster and present one of the documents listed in paragraph 29e and, if required, a required background check. 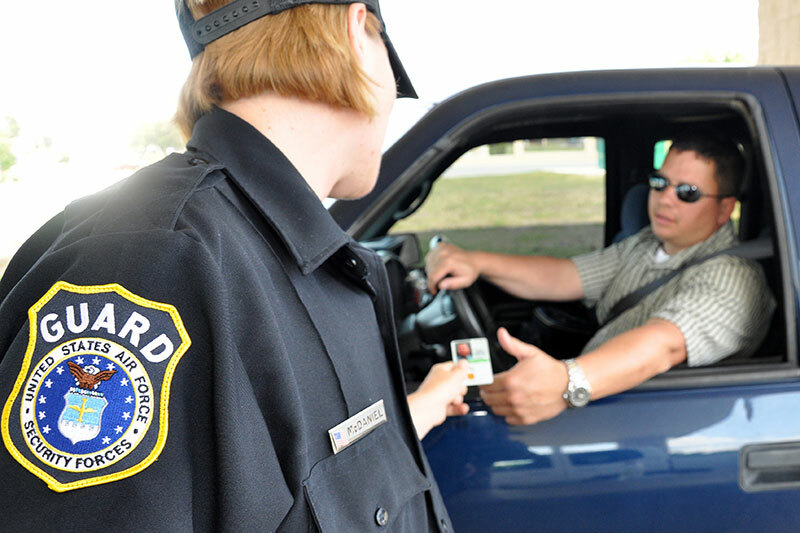 If you need an ID card or have questions, visit our ID card page at www.bavaria.army.mil/idcards.